Last week we went to Amazon Web Services (AWS) Summit London. 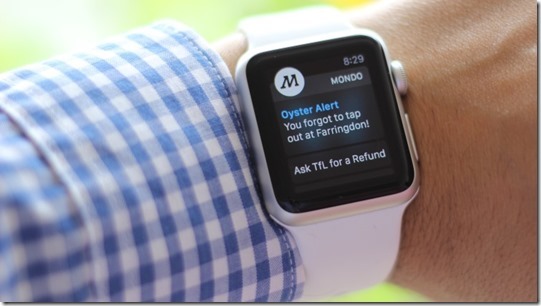 While we were there AWS set up a meeting with Mondo: "finally, a bank as smart as your phone". "I am going to talk about building a bank from scratch." Which is pretty cool, obviously. Blomfield said how relieved the startup was when new Financial Conduct Authority guidance was released that would allow core banking in the cloud. That said my first take was more like: ah yes- a firstdirect for the disruption era- with app only access rather than phone banking being the key innovation. Shrug. There are other digital "challenger" banks out there such as Atom, Monese and Starling, and Metro on the high street. But Mondo is the bank founded by developers, rather than people with banking industry experience. I first heard about Mondo from Stuart Williams at Weave.works but didn’t fully take on board what he was saying at the time. He had come back from a meetup impressed with their credentials having heard the CTO speak. He thought it was interesting because it seemed legit from an engineering perspective. My cofounder Stephen O’Grady wrote a great little book The New Kingmakers backing up the idea that developer choices increasingly drive tech platform adoption. With the convenience and low cost of cloud infrastructure, availability of amazing open source software, and social platforms such as Github enabling collaboration and discovery at scale developers no longer need to ask for permission when choosing platforms. Web developers and designers helped keep Apple afloat through lean times by purchasing the latest high end hardware, subsequently making it cool for business leaders that wanted to "think different" to do the same. The same communities then helped propel Apple to an industry redefining position as they fell in love with the iPhone – buying the hardware and building the apps that drove consumer adoption in a flywheel that has only recently begun to slow. Amazon Web Services in the early years was certainly not driven by enterprise sales, but by developers. AWS was and still is easiest way to spin up an environment and start building an app. Atlassian, MySQL, MongoDB, Node.JS, New Relic – all developer led platform successes. Microsoft in its pomp. The list goes on. Today check out Algolia, Auth0, or Elastic for example. Over time however, developer influence has spread well beyond tech platforms. Who were the early customers that made Uber what it is? SF developers and startup employees. Who were the earliest committed customers of AirBnB? Same. Developers, highly networked with significant disposable income, are taste-makers across a range of cultural and business sectors today. "Our original niche was originally developers and people that really loved their iPhones. Before we hard a card we had an API.We wanted an API to hack around on. If we had that we could spend our weekends and evenings banging away on stuff. That comes from us mostly being developers. I still maintain our Ruby library." Mondo sees banking as a hacker-led platform opportunity, which is really mind-blowing for a retail bank. 180k people have now registered for the app/to become customers. "What if there was an app so you could get something from your bank, if you joined london’s top 20 coffee shops, for example. Over time we want to be a market place or app store bank. If developers come on board first then consumers can take advantage of that." The back story of Mondo’s decision to leave its core infrastructure to AWS and concentrate on building a bank is pretty funny. "It was all down to the FCA. We were about to sign up with a data center provider. We thought we were going to have to buy a car to get there. I was worried I was going to need a screwdriver." The alternative? "We know of major banks that have teams of 400 people just to patch their OS." For traditional banks the PSD2 banking standard mandating that European banks have APIs coming on stream in 2017 (whether or not we Brexit it’s going to be a thing) is going to be a tough ask. For Mondo however an API is literally part of the founding culture – with regular hackdays, providing valuable developer feedback. Mondo is a thoroughly modern bank, run by developers for developers, on AWS. It seems developers are the new bankmakers. Mondo has a particular niche and belief which is going to make it an exceedingly interesting case study. The company’s banking license should come through in early 2017.
disclosure: AWS is a client.